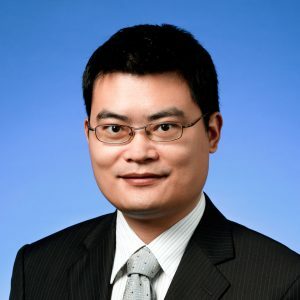 Prof. Hao Shen is Professor of Marketing at The Chinese University of Hong Kong. He received his PhD in Marketing from the Hong Kong University of Science and Technology. Prof. Shen’s research interests include: the effect of mood, the effect of procedural knowledge, culture, and sensory marketing. Prof. Shen’s research has been published in journals such as Journal of Consumer Research, Journal of Marketing Research, Journal of Consumer Psychology, Journal of Experimental Psychology (applied), Journal of Experimental Social Psychology, and Journal of Personality and Social Psychology. He won young contributor award from Journal of Consumer Psychology in 2008, young researcher award from the university in 2011, and was named as Marketing Science Institute (MSI) 2015 young scholar. Prof. Shen is on the Editorial Review Boards of Journal of Consumer Research, Journal of Consumer Psychology, and Journal of Retailing. Hao Shen and Jaideep Sengupta, “Word of Mouth vs. Word of Mouse: How Speaking vs. Writing about a Brand Affects the Communicator,” Journal of Consumer Research, forthcoming. Yunhui Huang, Yanli Jia, Robert S. Wyer, and Hao Shen, “Physical Proximity Increases Persuasive Effectiveness through Vivid Mental Imaging,” Journal of Consumer Psychology, forthcoming. Rong Chen, Xiaobing Xu, and Hao Shen (2017), “Go beyond just paying: Effects of payment method on level of construal,” Journal of Consumer Psychology, 27(2), 207-217. Hao Shen, Meng Zhang, and Aradhna Krishna (2016), “Computer Interfaces and the “Direct-Touch” Effect: Can iPads Increase the Choice of Hedonic Food?” Journal of Marketing Research, Vol. Oct, 745-758. Hao Shen and Akshay Rao (2016), “Looks good to me: how eye movements influence product evaluation,” Journal of Consumer Psychology, 435-40. Fangyuan Chen, Robert S. Wyer, and Hao Shen (2015), “The Interactive Effects of Affect and Shopping Goal on Information Search and Product Evaluations,” Journal of Experimental Psychology: Applied, 21(4), 429-442. Hao Shen and Jaideep Sengupta (2014), “The Crossmodal Effect of Attention on Preferences: Facilitation vs. Impairment,” Journal of Consumer Research, 40(5), 885-903. Robert S. Wyer, Hao Shen, and Jing Xu (2013), “The Role of Procedural Knowledge in the Generalisation of Social Behaviour,” The Oxford Handbook of Social Cognition, Oxford University Press, 257-281. Jing Xu, Hao Shen, and Robert S. Wyer (2012), “Does the Distance Between us Matter? Influences of Physical Proximity to Others on Consumer Choice,” Journal of Consumer Psychology, 22, 418-423. Hao Shen and Jaideep Sengupta (2012), “If You Can’t Grab It, It Won’t Grab You: The Effect of Restricting the Dominant Hand on Target Evaluations,” Journal of Experimental Social Psychology, 48, 525-529. Fengyan Cai, Hao Shen, and Michael King-man Hui (2012), “The Effect of Location on Price Estimation: Understanding Number-Location and Number-Order Associations,” Journal of Marketing Research, 49(5), 718-724. Robert S. Wyer, Alison Jing Xu, and Hao Shen (2012), “The Effect of Past Behaviour on Future Goal-Directed Activity,” Advances in Experimental Social Psychology, 46, 237-276. Hao Shen, Robert S. Wyer, and Fengyan Cai (2012), “The Generalisation of Deliberative and Automatic Behaviour: The Role of Procedural Knowledge and Affective Reactions,” Journal of Experimental Social Psychology, 48, 819-828. Hao Shen, Wan Fang, Jr., and Robert S. Wyer (2011), “Cross-Cultural Differences in the Refusal to Accept a Small Gift: The Differential Influence of Reciprocity Norms on Asians and North Americans,” Journal of Personality and Social Psychology, 100(2), 271-281. Hao Shen, Yuwei Jiang, and Rashmi Adaval (2010), “Contrast and Assimilation Effects of Processing Fluency,” Journal of Consumer Research, 36, 876-888. Hao Shen and Robert S. Wyer (2010), “The Effect of Past Behaviour on Variety Seeking: Automatic and Deliberative Influences,” Journal of Consumer Psychology, 20, 33-42. Hao Shen and Robert S. Wyer (2008), “Procedural Priming and Consumer Judgments: Effects on the Impact of Positively and Negatively Valenced Information,” Journal of Consumer Research, 34, 727-737. Hao Shen and Robert S. Wyer (2008), “The Impact of Negative Affect on Responses to Affect-Regulatory Experiences,” Journal of Consumer Psychology, 18(1), 39-48.